Thanksgiving is quite a U.S. holiday. 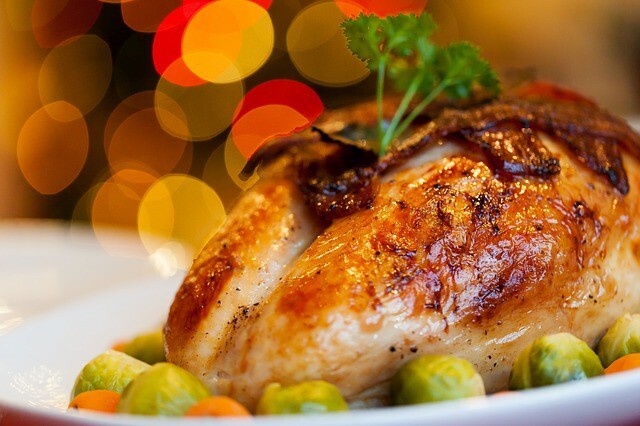 In one day, we manage to eat and enjoy 44 million turkeys, twice the number consumed at Christmas. Yes, vegetarians may live longer and vegans even more so, but the smell of a roasting turkey in the kitchen, lingering in the nostrils, titillating appetites as friends and relations gather, is synonymous with Thanksgiving — a meal where it is politic to keep politics away from the table. The enthusiastic consumption of meat in industrialized countries is one cause. The worst culprits are lamb, mutton and beef because sheep, goats and cattle are ruminants and their digestive systems release methane mostly through belching rather than the other end. Cattle emit so much greenhouse gas that if they were a country they “would be the planet’s third largest greenhouse gas emitter.” They produce an astounding 270,000 tonnes of emissions over their agricultural life cycle per tonne of protein, multiple times more than pork or poultry or eggs. Transferring our carnivorous instincts from beef to poultry reduces so much emissions as to be near as good as being vegetarian although not quite. Another way of imagining the effect is to translate a kilo of food sources into the number of car miles driven to produce the same emissions. A kilo of beef equates to 63 miles. Eating chicken reduces this by 47 miles, rice by another 10, lentils by 4 more. When people ask, ‘but what can I do about climate change?’ we have an answer, ‘eat less beef.’ We can also drive less by cutting unnecessary trips — for example, grocery shopping only once a week. Turning down the thermostat in winter and up in summer to reduce energy consumption (and lower gas and electricity bills), walking or bicycling instead of driving short distances for better health and for our environment are suggestions we have heard before. It’s time we complied. The young have an answer to the tardiness of the U.S. government officialdom to act on these reports. In Eugene, Oregon, they have gone to the courts. They accuse the government of endangering their future by failing to alleviate the effects of climate change and promoting antithetical policies. Lawyers from the current and previous administrations have tried to have the case dismissed; they have requested stays all the way the Supreme Court where they were denied, and now are on a temporary stay ordered by the Ninth Circuit Court of Appeals to allow trial preparation. The District Judge has promised to issue a trial date once the Appeals Court lifts the temporary stay. The president does not believe his own government’s climate assessment — he also does not accept the CIA’s conclusion that Crown Prince Mohammed bin Salman ordered the Jamal Khashoggi killing. Donald Trump’s perverse hostility to the organs of government is being played out not only in the embarrassing possible presence of the Crown Prince at the coming G-20 meeting but worse still in the mounting damage to the environment, in the worsening of greenhouse gasses instead of abatement, and in the decline of U.S. preeminence and influence as observed during the WWI memorial ceremonies in Paris recently. For now let’s cheer for the kids in Eugene, Oregon … even if countries other than the U.S. produce about 88 percent of greenhouse gas emissions. This country can lead by example.